It seems that Samsung Galaxy Note 5 has a design flaw - the S Pen slide-gate. 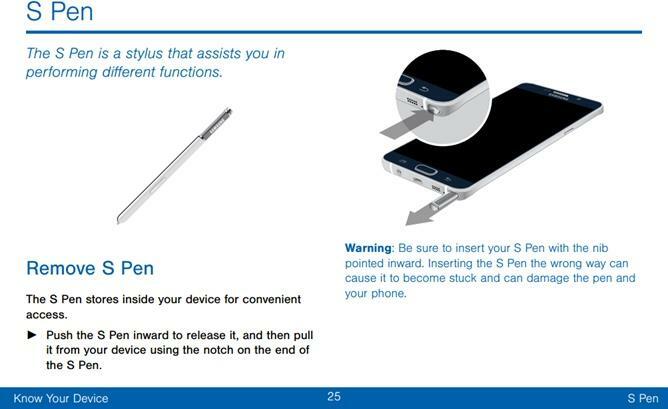 If you slot S Pen stylus into the phone backwards or other way, it will be very difficult to pull out the stylus from the device. Pulling out the stylus with extreme force can damage the stylus and phone. The Korea company's response is rather similar how Steven Jobs responds to Antennagate "Just avoid holding it in that way. ", the iPhone 4 signal issues. Anyway, it shouldn't be a problem once the owner have used to the usage of the Galaxy Note 5. But always do keep in mind - avoid inserting it the wrong way.